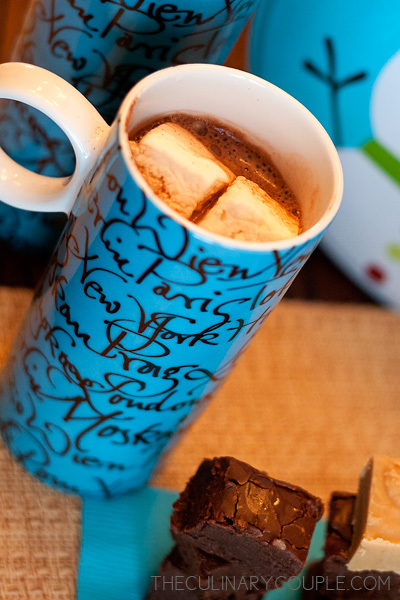 The perfect end to the perfect snow day calls for hot chocolate — always made with milk and always topped with big fluffy marshmallows — and neat stacks of homemade fudge. 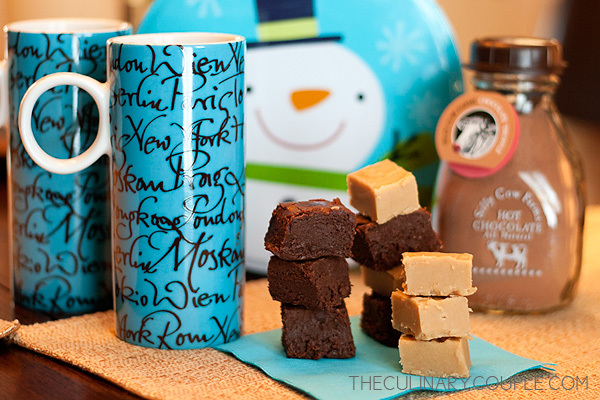 … and fudge made with coffee liqueur. 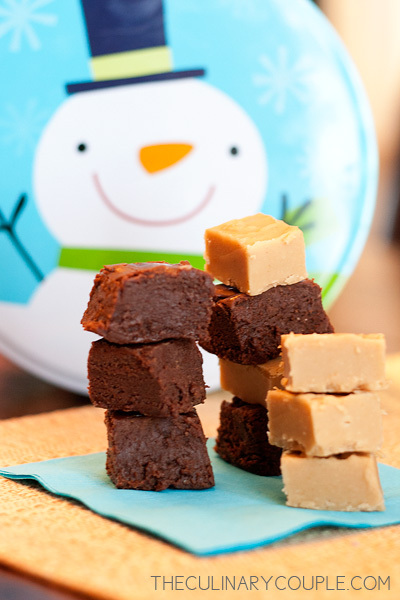 This recipe for Kahlua Cream Fudge comes from our sister-in-law, Megan, and it’s a holiday favorite. It’s dense and decadent with just a hint of Kahlua. It’s simple to make and firms up in the refrigerator in about two hours. But beware, it’s very addictive. Line 8×8″ pan with foil; coat with non-stick cooking spray. In a 2-quart saucepan, combine sugar, marshmallow creme, milk, butter, Kahlua, and salt. Bring to a rapid boil, stirring constantly, for 5 minutes. 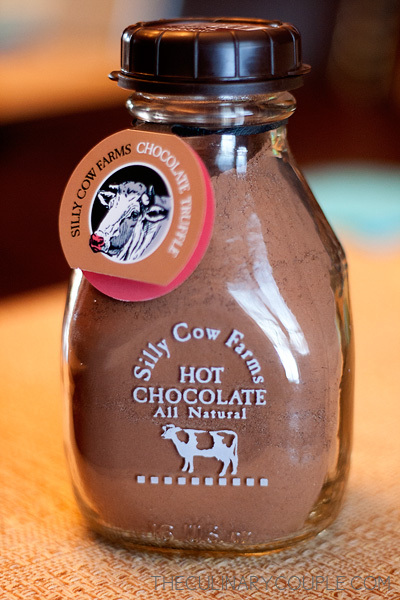 Remove from heat; stir in chocolate chips until melted. Add nuts and vanilla. Turn into pan and refrigerate until firm, at least 2 hours. Remove from pan and foil; cut into squares and serve.